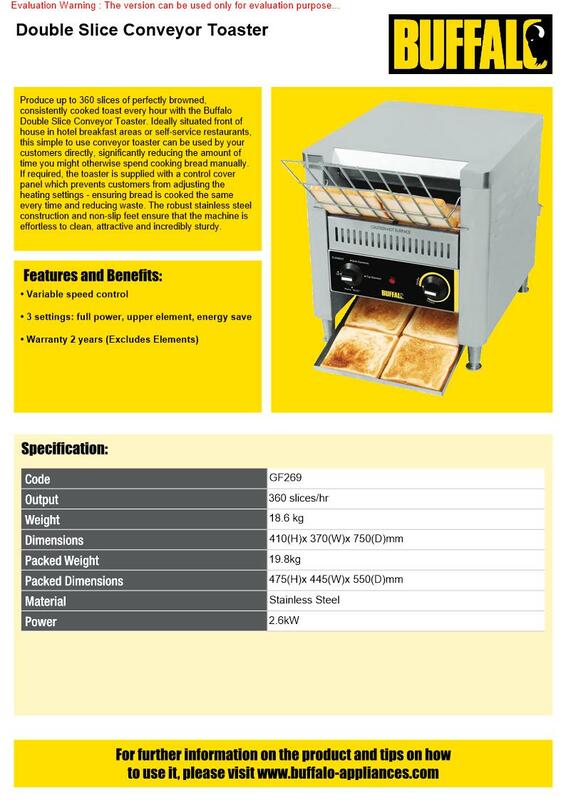 Produce up to 400 slices of perfectly browned, consistently cooked toast every hour with the Buffalo double slice conveyor toaster. 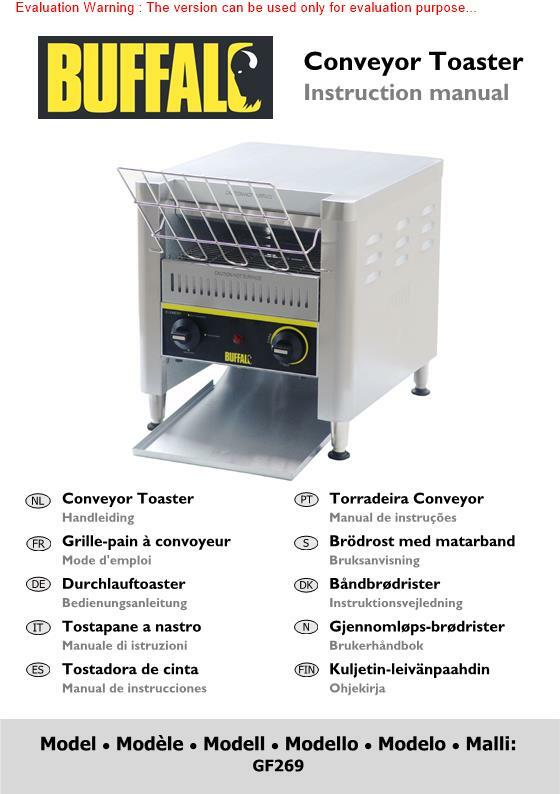 Ideally situated front of house in hotel breakfast areas or self-service restaurants, this simple to use conveyor toaster can be used by your customers directly, significantly reducing the amount of time you might otherwise spend cooking bread manually. 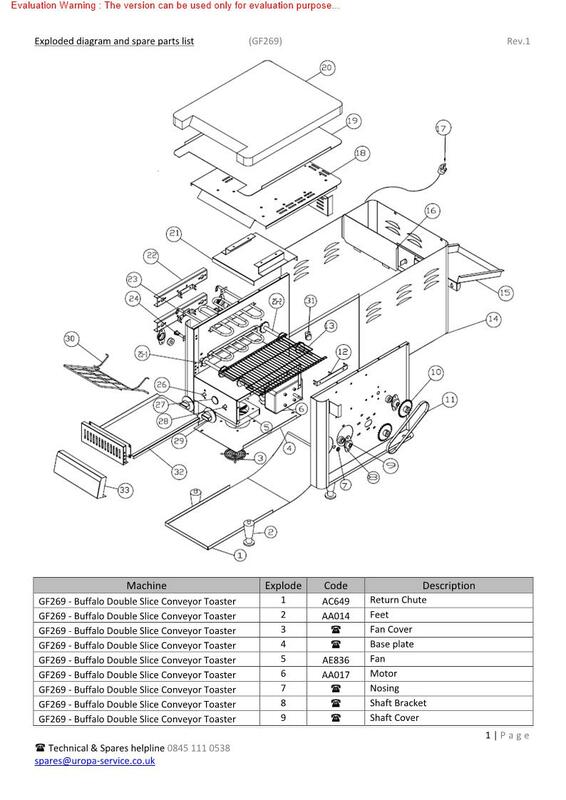 The toaster is supplied with a handy control cover panel which prevents customers from adjusting the heating settings. The robust stainless steel construction and non-slip feet ensure that the machine is effortless to clean, attractive and incredibly sturdy. Perfect for everyday commercial use.